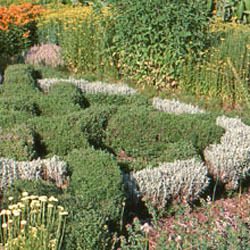 This essential culinary herb has dense growth and can be trimmed to form a small hedge, knot garden, or potted plant. The small white flowers are in abundance and are bee favorites. Winter savory is a perennial; summer savory is an annual.